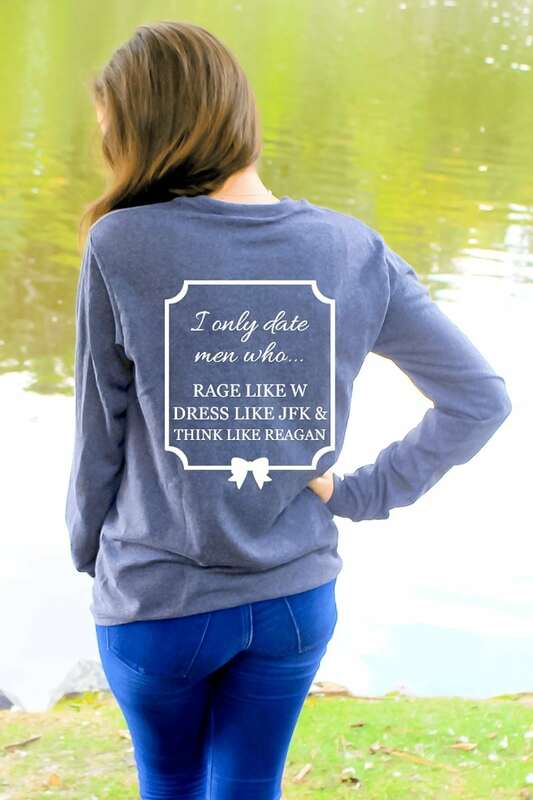 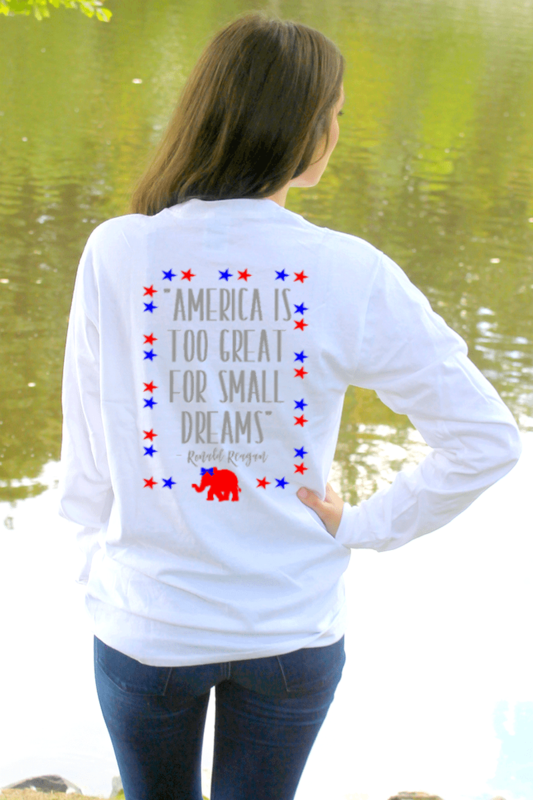 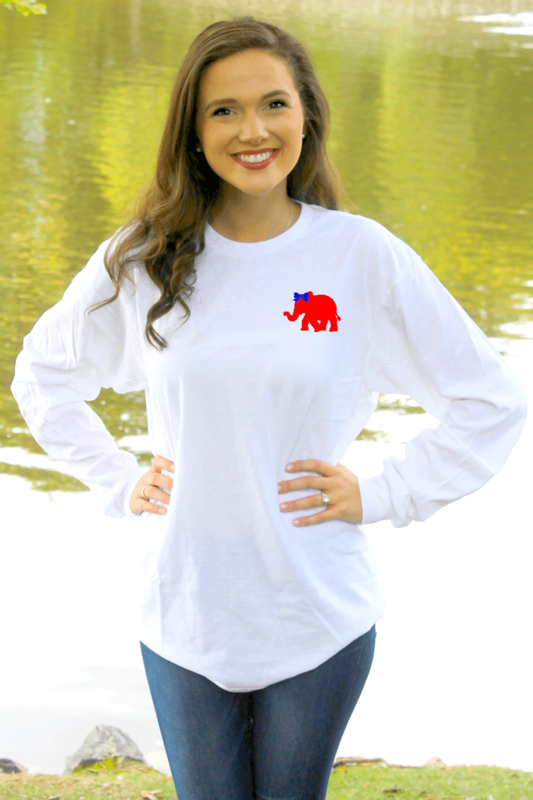 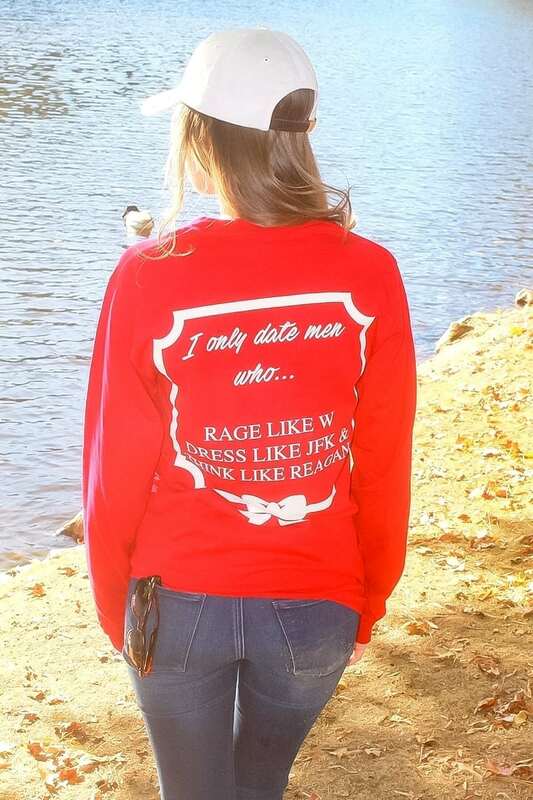 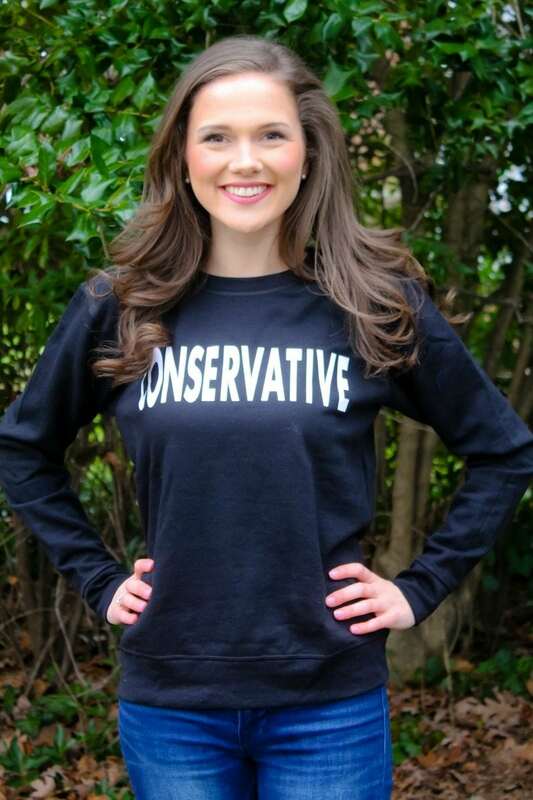 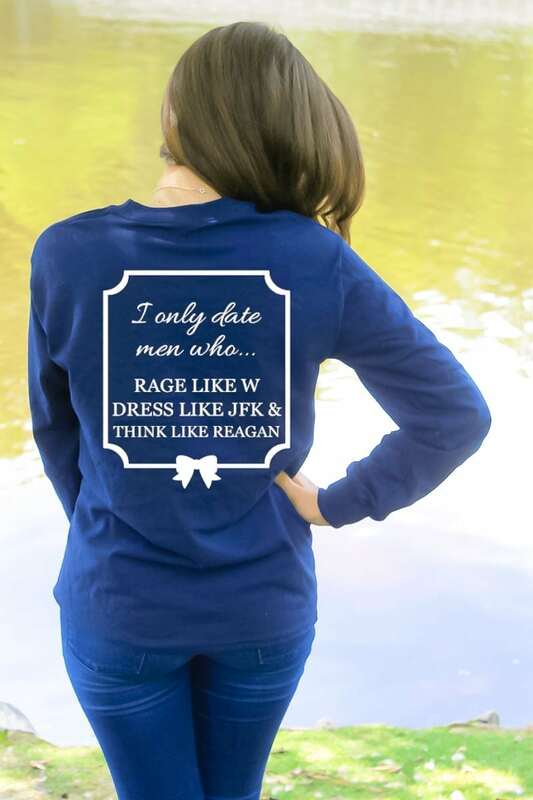 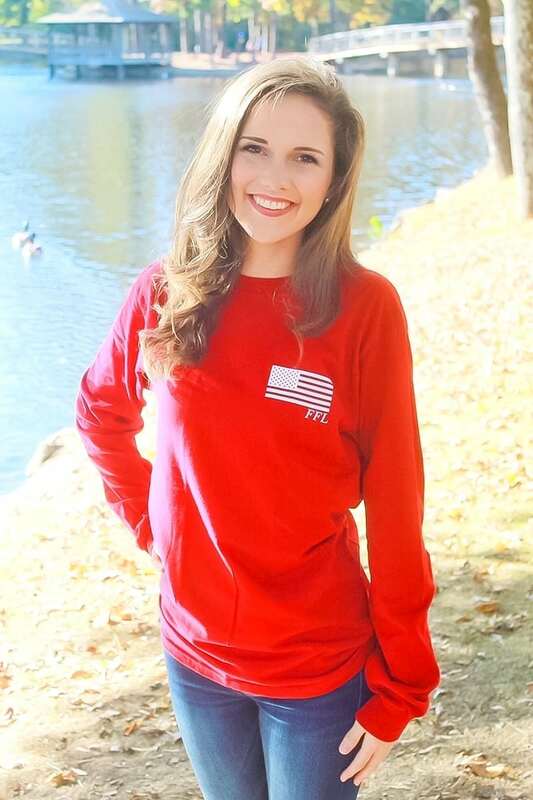 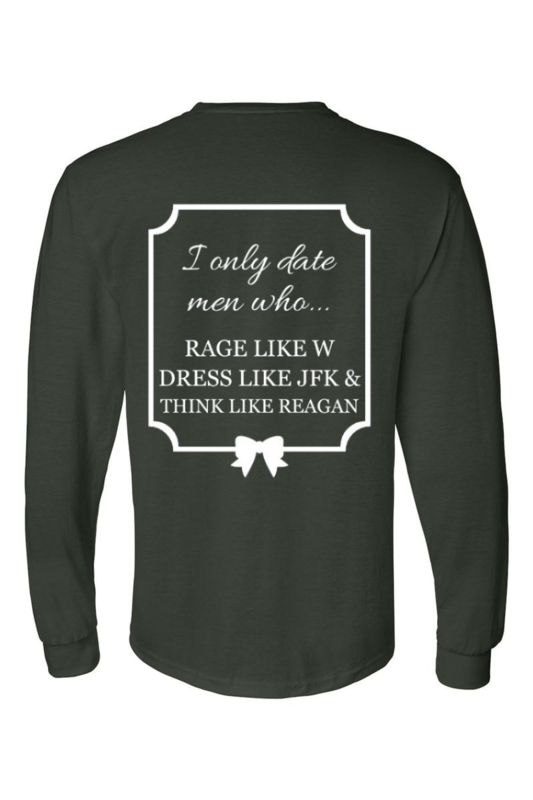 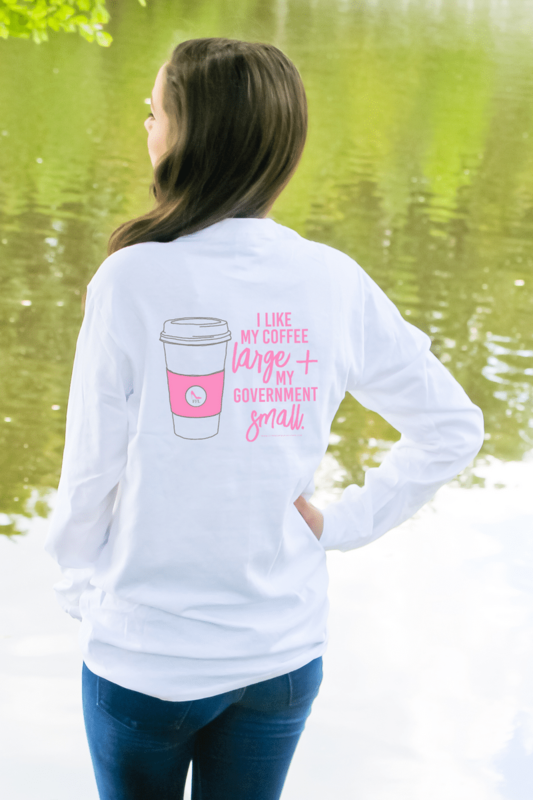 This long sleeve tee has an American flag on the left chest and the Rage, Dress, Think design on the back. 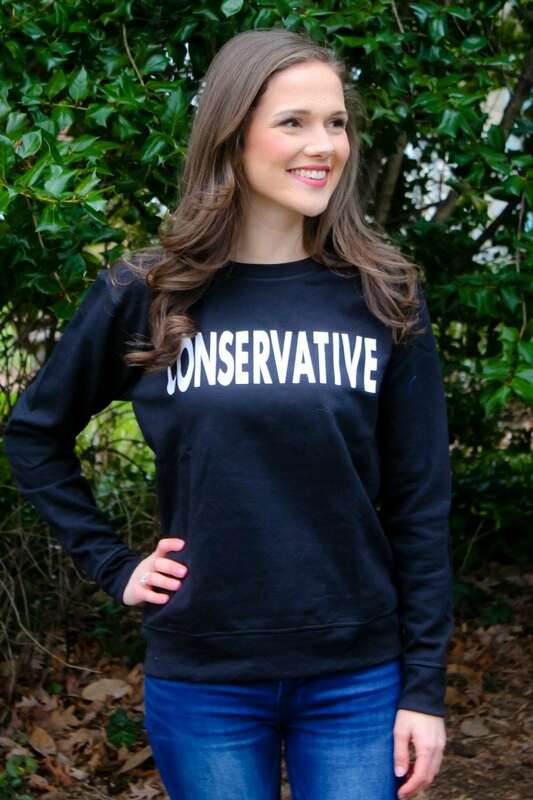 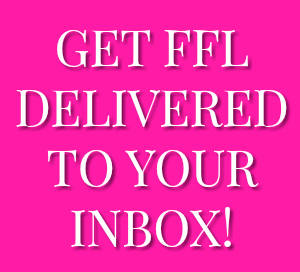 It is available in brick red, charcoal, forest green and navy. 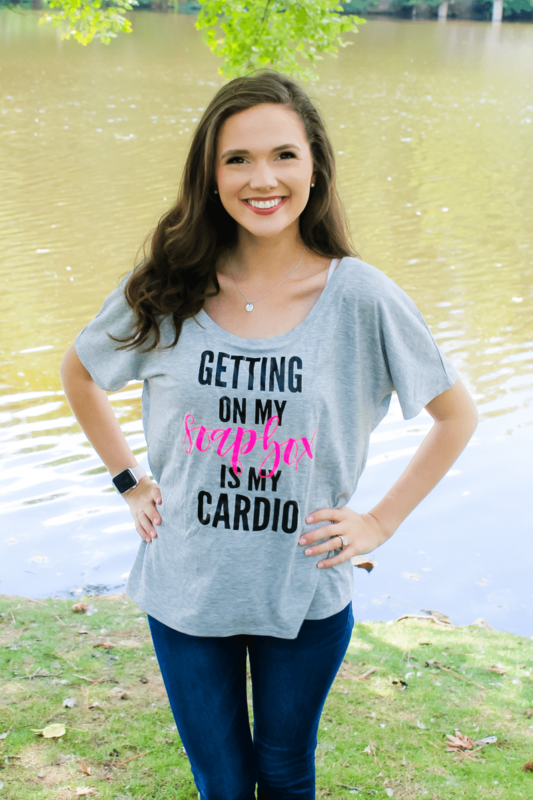 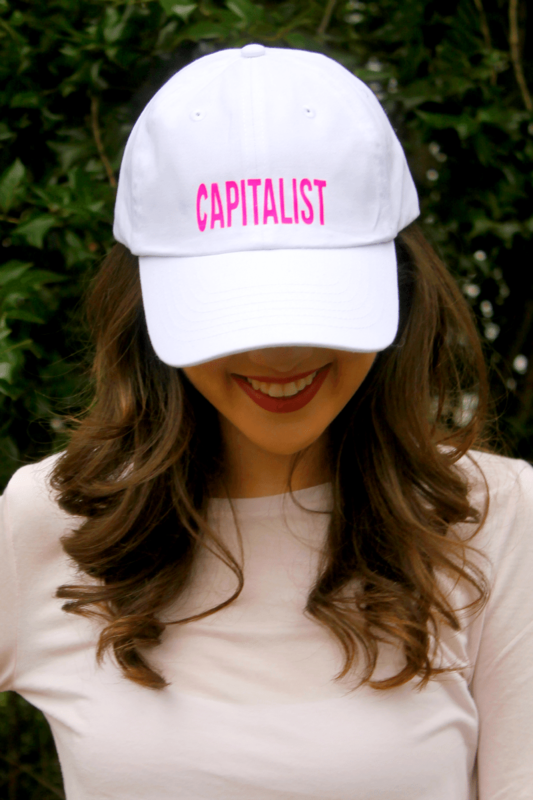 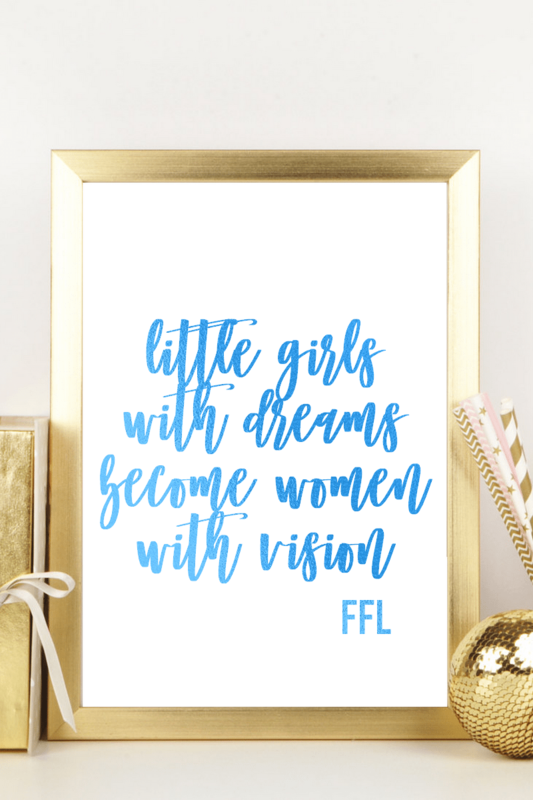 This tee runs true to size and the model is wearing a medium for a loose fit.